voted! There are some lovely quilts there. I don't remember seeing this one. Can't imagine how I might have missed it. I love the design of this. I can see the evolution from this to the latest works with the strands that add so much to the texture. Beautiful work as always Nellie! I love the colours in this quilt Nellie. 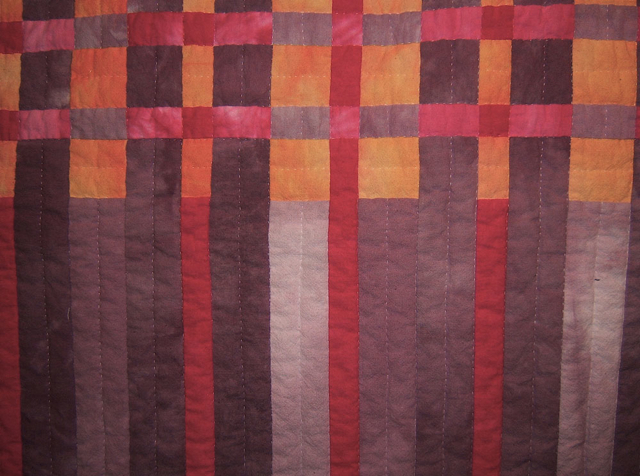 There is something about hand-dyed fabric which makes a quilt extra-special.